I Made A Lemon Layer Cake…There. Can I Hide Now? A very happy happy much-needed Happy Sunday. Yes. 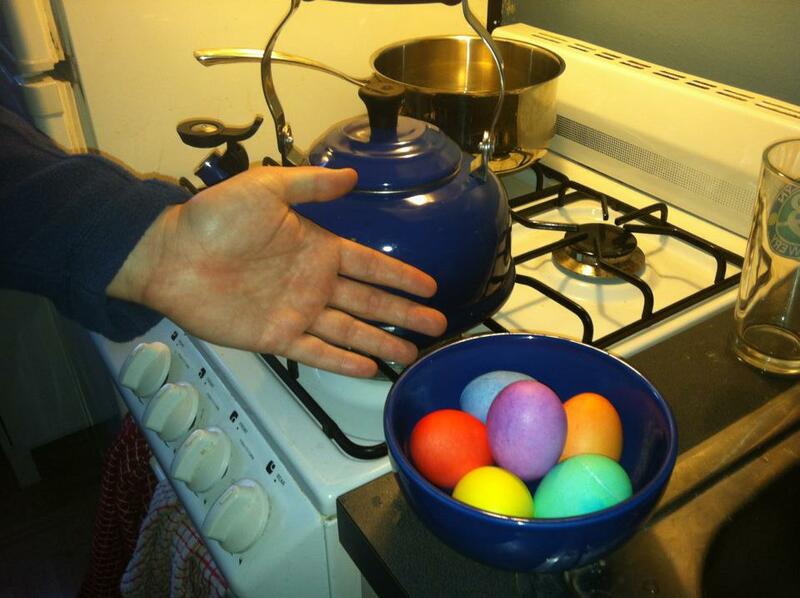 We colored Easter eggs. Jealous? Methinks it might be time to take another hiatus from the blog. I’m in serious need of a break from, well, everything. If I had it my way that break from everything would entail me burrowing into a hole made of downy blankets (a blanket fort, perhaps?) and only emerging upon hearing the words “you’re rich, you’re awesome, it’s a sunny 75 degrees outside and we’re going to a Glen Hansard show…with Glen Hansard.” I’m not even just saying any of this for dramatic effect. I’d very much like to go into hibernation mode for, oh, a couple of seasons or so. In fact, when my best friend asked me what I wanted to do after I told her about my dilemma, my answer was “hide.” When she asked me what else I wanted to do, I responded with “um…hide for a long time?” I believe that was the incorrect answer. I’ve been under some serious stress lately. As I described to my best friend (poor girl basically got slammed with Shibow drama), I feel like I’m both totally stuck and going a mile a minute and the same exact time. Quarter life crisis returns! It must be an April thing. 1. What am I meant to do with my life? 2. Where should I hide in case I no one comes up with the answer to #1? 3. Who the hell is Gotye? 4. Does anyone know anyone who’s really good at cutting curly hair? And I don’t mean kind of good or “here’s what Google says.” I mean, do you have curly hair and did you go to an awesome hairdresser and do you now look like a ringlet-covered goddess? 5. Seriously, can someone help me figure out what to DO with my life? Yeah, so, I just need to snap out of it, I guess. And anyway, just because I’m sad doesn’t mean Easter doesn’t exist and doesn’t require some baked goods. For an Easter Sunday party at my cousin’s new [beautiful!] 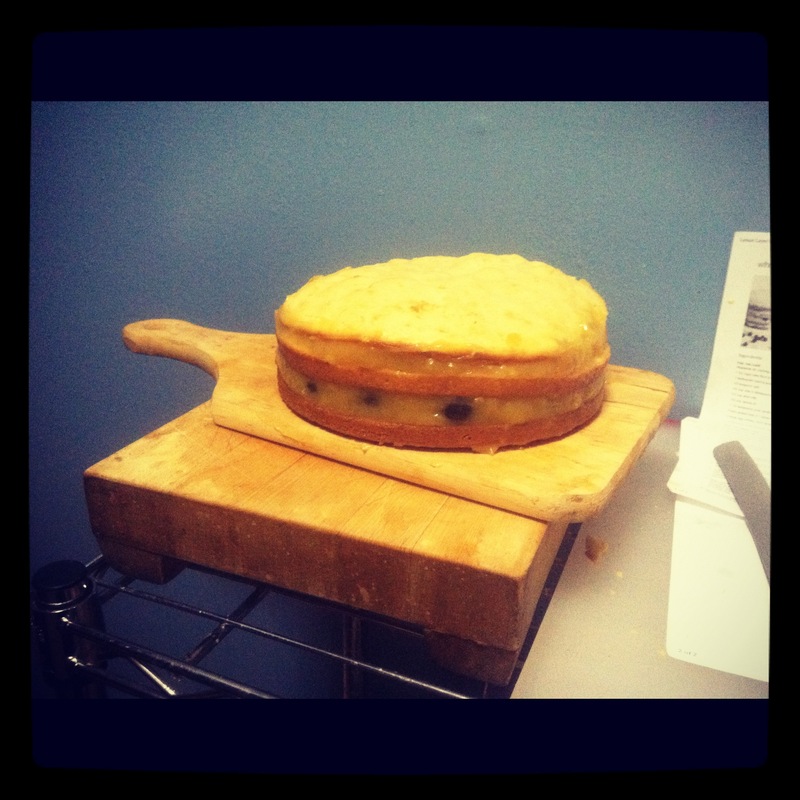 digs, I decided to whip up a lemon layer cake with lemon curd and blueberries. Now, as you can probably see if you’ve clicked on the link, this is a Martha Stewart recipe. I need to be honest: I’m not a huge fan of this lady. It’s not a Stamos-level hatred or anything. It’s more of a fear. A suspicion. And to be honest, after you see how this cake turned out, I think you’ll agree that my feelings toward her are justified. 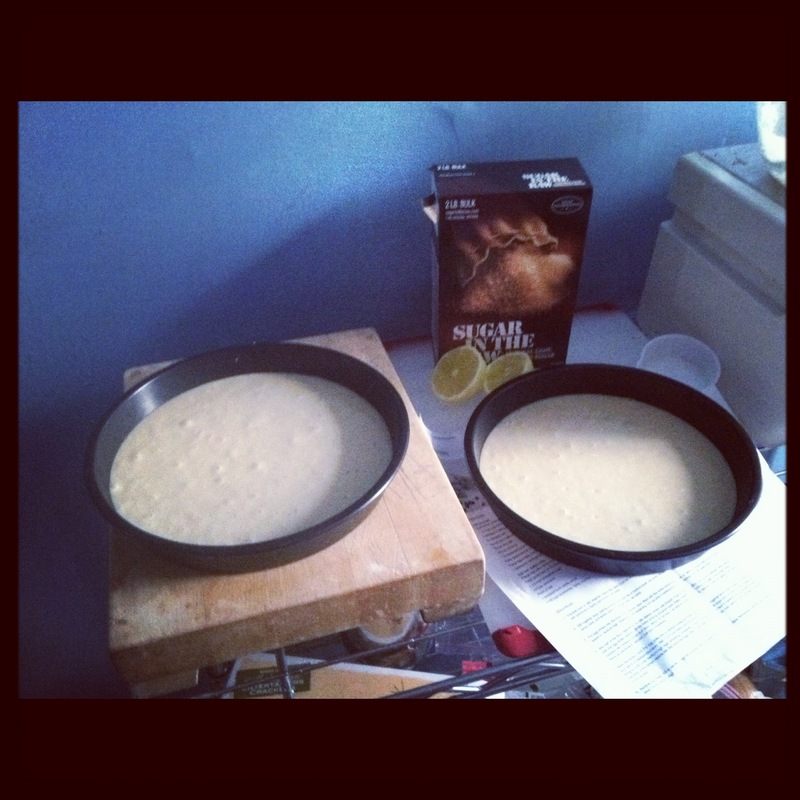 Preheat your oven to 350ºF, and grease two 8″ round cake pans. In a medium-sized bowl, sift together flour, baking powder and salt and set aside. In a larger bowl, whisk together 1/4 cup of your sugar, milk, oil, vanilla, lemon zest and lemon juice. Now, in a bowl large enough to fit your egg whites, whip the whites with a hand or stand mixer until foamy, then slowly start to add the rest of your sugar until stiff peaks appear. Add half of your dry mixture to the milk mixture and stir in until smooth. Add in half of the egg white mixture, then keep alternating between adding the dry mixture and the egg whites until everything’s incorporated. Divide the batter between your pans and bake until a toothpick inserted into the center comes out clean, about 18 minutes. Let the cakes cool in their pans for about 10 minutes, then invert them onto a clean surface to cool completely. In the meantime, make your lemon curd. Place egg yolks in a medium heatproof bowl, and set aside. In a medium saucepan, whisk together lemon zest, sugar, cornstarch and salt. Add in the lemon juice plus 1 1/2 cups of water, stir until sugar has dissolved, and crank the heat on your stove up to medium-high. Bring to a boil, and keep whisking. Cook for about two minutes, then reduce the heat to medium-low. Slowly pour about one-third of your lemon mixture into the bowl of egg yolks. 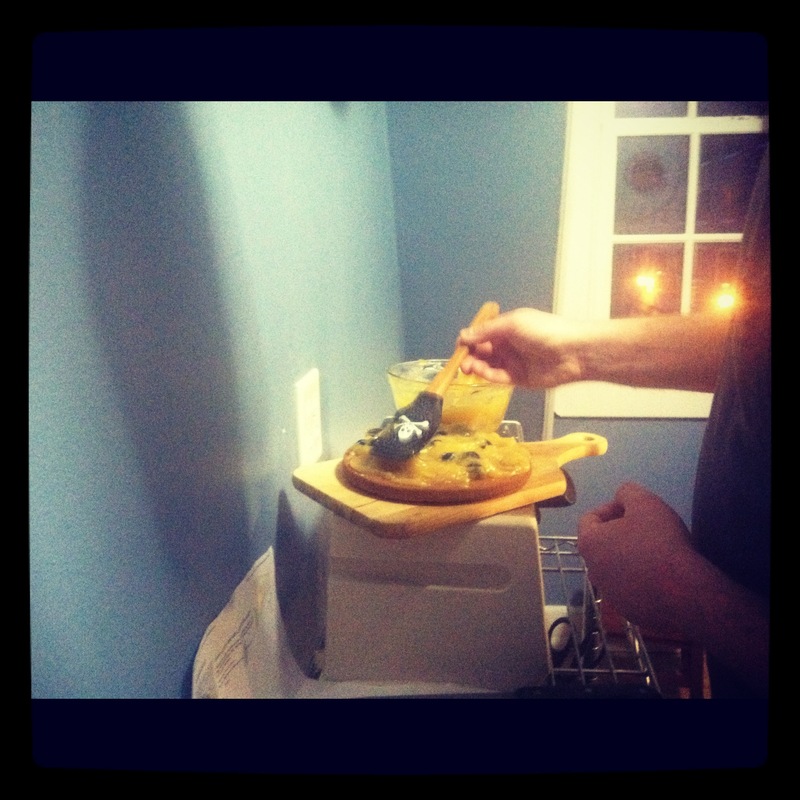 Basically, you’re tempering your yolks so that you don’t end up with scrambled egg lemon curd. If that’s your thing though, go for it. Also, if that’s your thing…gross. Add this mixture back into your saucepan and cook over medium heat, stirring all the while, for about 3 more minutes. 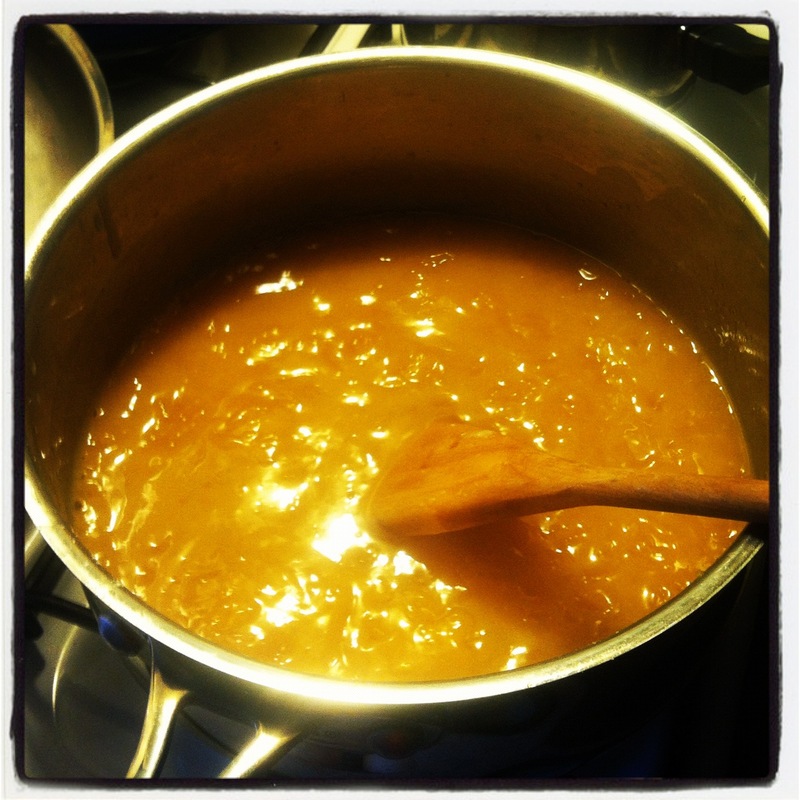 Remove the mixture from heat, stir in your vanilla, and place in a heatproof bowl. Cover with plastic wrap and cool completely, for at least an hour and for as long as a day. When cooled, stir in your blueberries. Just so you know, I am so damn happy I know how to make lemon curd now. It's delicious. I'm putting it on everything. Now, to assemble this beast. I’m getting a little bit of anxiety just typing this right now. In fact, I’ve been avoiding it for a while because my creation– at first– turned out to be a disappointment. First, the cakes were not nearly as thick as they should have been. They were pretty flat, and there was no way that I could think of to slice them in half to be even thinner. I pouted for a while before enlisting the help of my boyfriend who, bless him, pretty much has surgeon’s hands and likely would have been able to perfectly halve this thing in a sandstorm. Oh, but dear readers, guess what else I discovered? Not only is the man good with cutting up the cake. It turns out he’s a master decorator as well. Yes, I did leave this to him. And, at the risk of embarrassing him, let me tell you that he got pretty into this. I could not stop repeatedly thanking him and saying “you made it pretty. It was ugly…and then you made it pretty.” Dude’s got talent. I don’t have a better picture of this cake than this, mostly because I walked away as it was being decorated because I was bummed at how flat it turned out. Everyone seemed to really love it at Easter, and we even took a piece home that very, very quickly disappeared. So even though it wasn’t as plump or easy to work with as I would have liked, and even though I’m convinced Ms. Stewart sabotaged me somehow, we ended up with a pretty lovely dessert. Seems like you got got, MS.